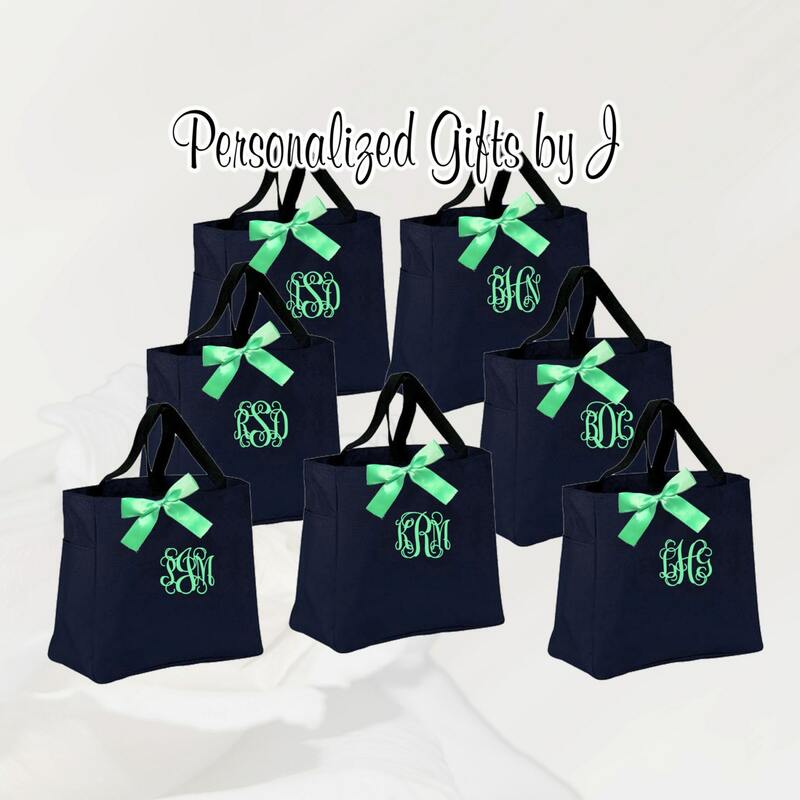 This listing is for 5 Monogrammed Tote Bags, This makes the perfect gift for the Bride, Bridesmaid, Maid of Honor, Mother of the Bride/Groom, Flower Girl, and Attendants. 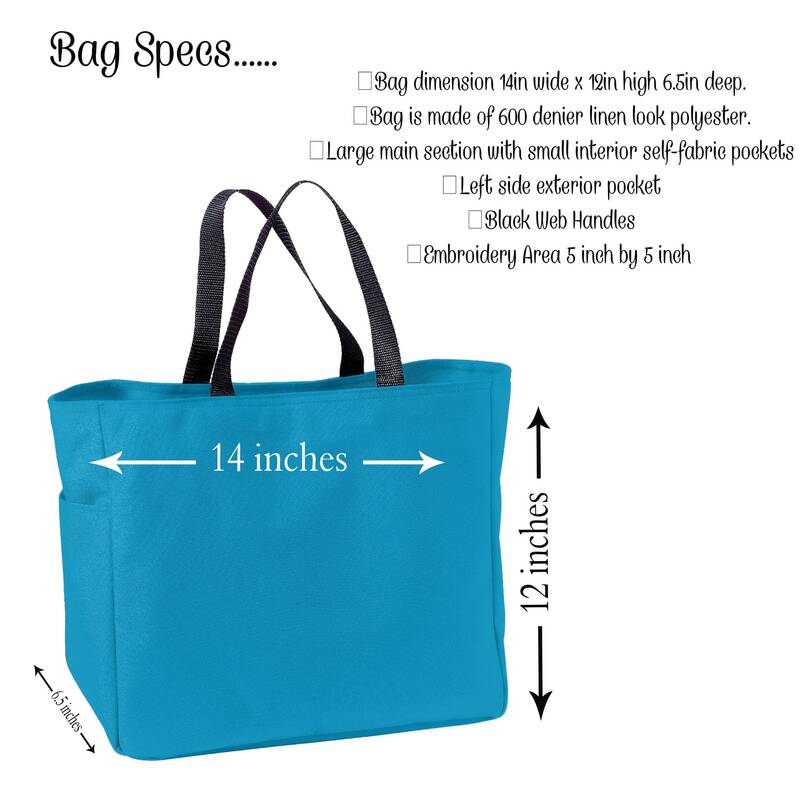 It is big enough you can fit all of the DAY OF essentials in here or use it to carry all of the essentials for the weekend. Love them! The pictures do not do these bags justice. I am really impressed with the quality. I communicated with the owner of the store before I ordered the items. She was very helpful and gave me a timeline to order the bags by. The bags shipped earlier than expected and arrived earlier as well. They are great! 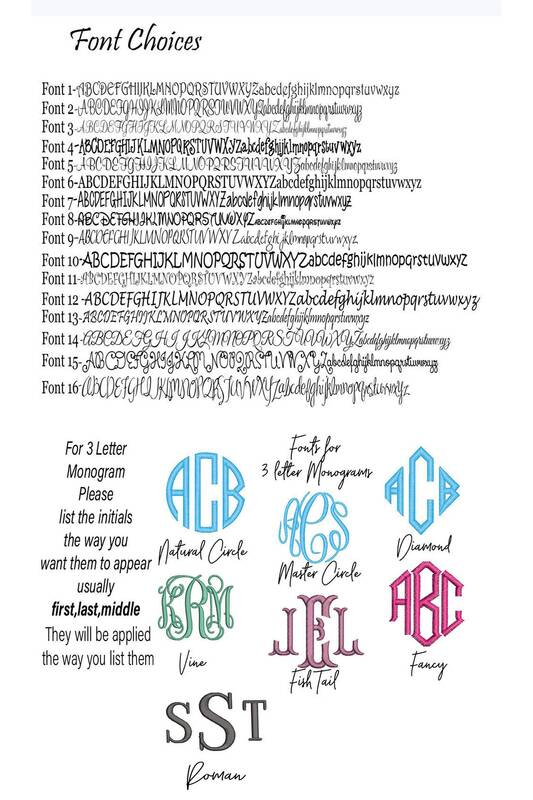 The bags are well sturdy and the monogramming well done. I'm sure the bridal party will think they are adorable. A great experience! 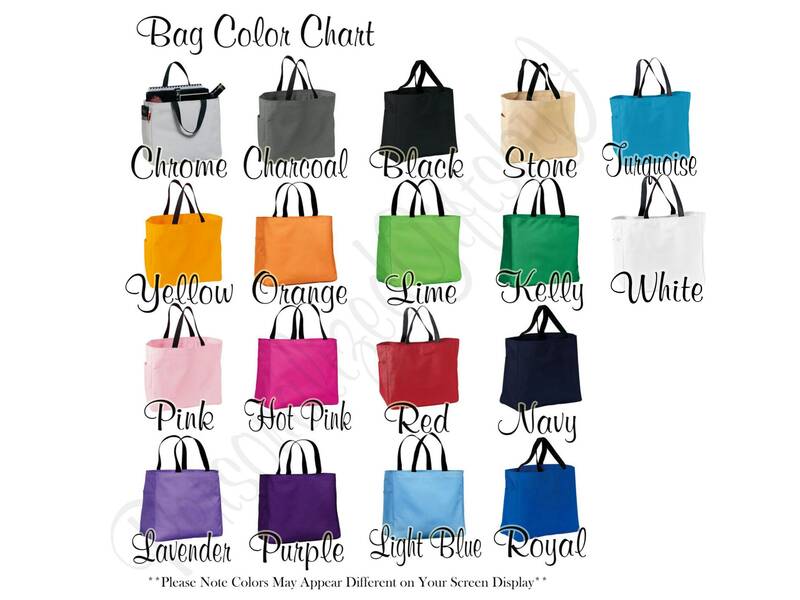 Really beautiful bags. Can't wait to Give them out on my wedding!